A dog is one of the remaining reasons why some people can be persuaded to go for a walk. But if your dog pulls on leash, you might be driven crazy during walking with your cute pet. If you own a dog or dogs and you are curious to know how to stop your dog from pulling the leash, make your dog walk happily by your side and follow your step, stop whenever you stop, continue when you continue, turning when you turn, then this article will provide you the guide you need to do it successfully. Again, you may also want to know if it is possible to make your dog to obey you when the pet is on a leash. The fact is that it is possible for you to make your dog leash training successful. However, it will require some effort and patient on your part. Read on. 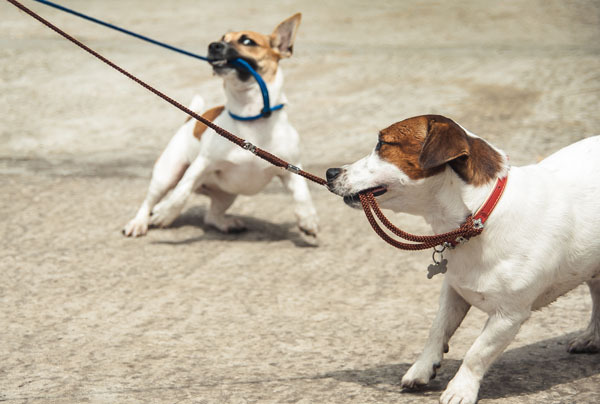 Most owners find their pets are hard to be controlled by leash and tend to bite, ripe or chew leashes, which makes leash is easy to be broken and training is hard to move on. First, selecting the correct collar or dog training leash is essential in dog leash training. If you have a big size dog for instant golden retriever or Labrador, then we would recommend you to use a head collar where this is the best for you and your dog. 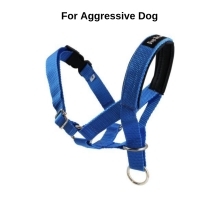 Head collar is suitable for big and aggressive dog as it will stop your dog from pulling the leash. 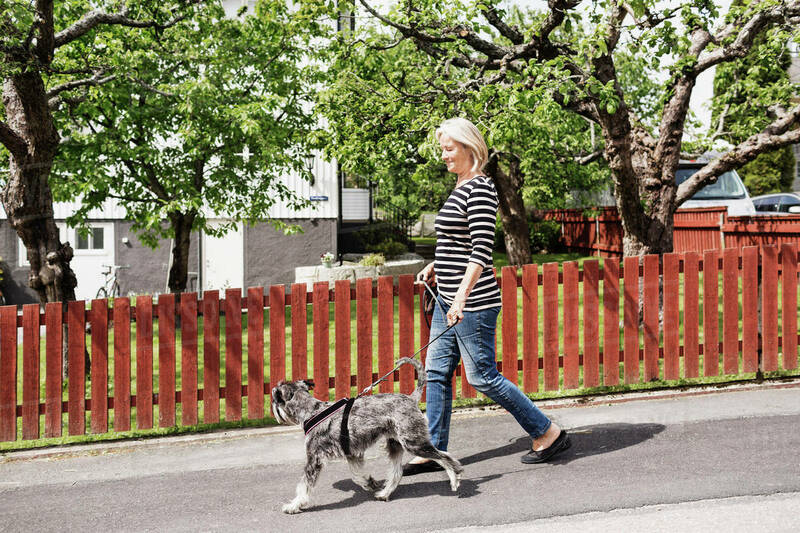 And dog owners might not be required the full amount of energy to control them during walking. For small dogs, you can select other types of dog leash as they are small in size and easier to be controlled. 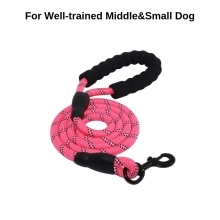 If your small pup likes chewing, dog rope leash would be a good choice, which is stronger than normal leash. If your big dog is already well-trained, a head collar might not be suitable. 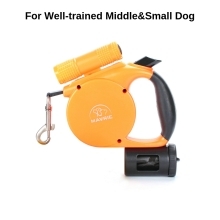 But looking for a reliable and durable design would still be necessary for you during walking control, a tactical dog leash might be helpful. That works well in army dog training and now a growing number of brands begin to develop that design, so you can find the ideal one easily. However, you can use head collar dog leash too. Getting the right size of the leash is very important in determining the positive of dog leash training. If your puppy feels really uncomfortable on leash, you can read our last article about how to train your dog to walk on leash step-by-step. After deciding on the correct type of dog leash, you need to make sure that the length of the dog leash or collar that you choose right. It has to be around six feet long only as dog collar which is too long will only give a chance to your dog doing their controlling or dominating manners. The result of long dog leash will make the dog walking in front of you and enjoy leading you instead of behind. Now it’s the last step! For your dog to walk behind you when a dog on a leash, you must let him know or recognize that walking by my master side is always the best! Many dog owners always choose to begin their dog training at the backyard of their house. Let choose which side you fancy your dog to walk when he is on dog leash training. Usually, most of the master will use the left side. When he is walking side by side with you, compensate him with his much-loved treat by your thigh on the preferred side. Ensure each time you let your dog walking on the same side with you. You must be steady during dog training. After a few session of practicing, your dog should start to know that by following at that particular side (right/left) he will get a good treat. Thus, every time you are going out for a walk, he will follow that way to enjoy the walk and get his much-loved treat. When your dog knows how to obey your instruction and behave well on leash, you can try to use quick release dog leash to offer your pet more freedom. That’s convenient for you to control a suitable distance via only one hand as well. As many office stuffs have no time to walk their dogs except night, a retractable dog leash with light can always help you to walk in dark area. As long as your dog stop pulling leash, he can enjoy the freedom supported by leash. Yeah...so following the above guide will make you and your dog happy good companion. Practice this by walking quickly and randomly with your dog on a leash around your compound.